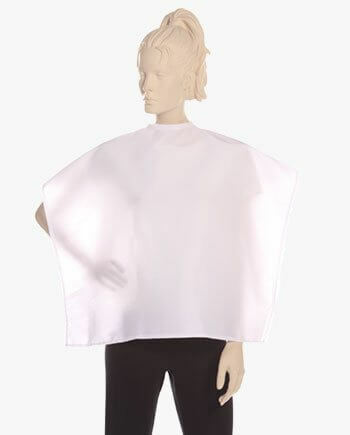 Salonwear’s capes for kids are smartly designed salon capes that are developed especially keeping in mind the shapes and sizes of children. Our kids’ salon capes are not only lightweight and easy to wear but are also functional. This comb out capes can be perfectly used as kids’ haircut cape. The pleasing design of our kids’ cape makes it enjoyable for the child and also brightens up the salon or spa. 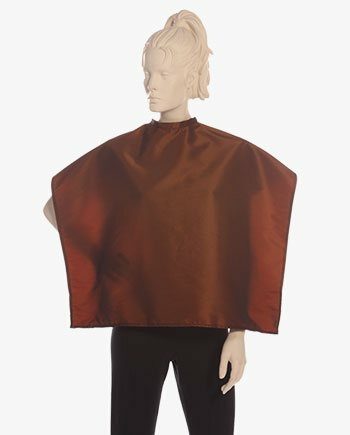 Our cape is an impeccable blend of a unique design, top-quality material, and functionality, resulting in an exceptional product. Here at Salonwear, we offer one of the best children’s capes that can be found in the market at reasonable prices. 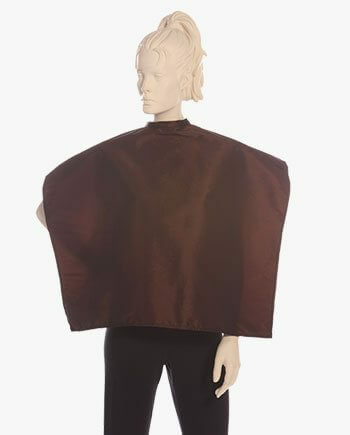 This attractive, one size fits all, salon comb out cape is a unisex cape. The soft breathable material of the kids’ cape keeps children comfortable while they get their hair washed, cut or styled. The snap closure on the cape provides added convenience and ease of use. Our durable capes for kids can be reused a number of times. 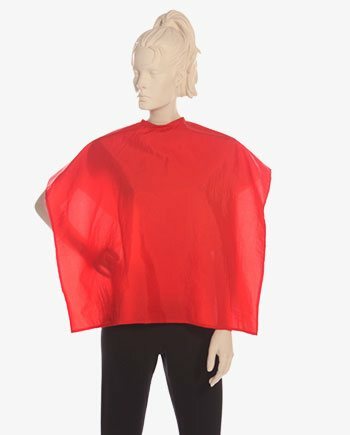 These children’s capes come in a practical size and can be stored easily. Salonwear offers kids’ salon capes that act as comfortable blankets while your clients enjoy a wonderful spa and salon session. Apart from kids capes, we also have cool barber capes such as printed capes, salon capes, makeup capes, super capes, and combination capes. Salonwear’s comb out capes are designed to make not only your younger clients but also the older ones feel extremely comfortable and at ease during their salon experience. 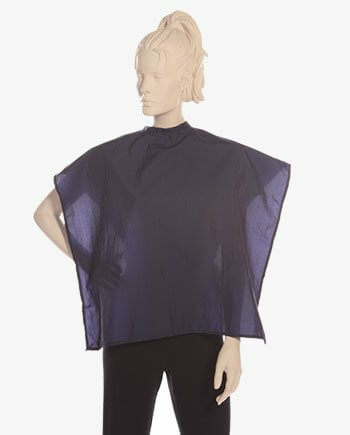 The capes come in different fabrics: silkara iridescent, and lightweight crinkled nylon. The stability of these beautiful fabrics increases the product life of kids’ salon capes. 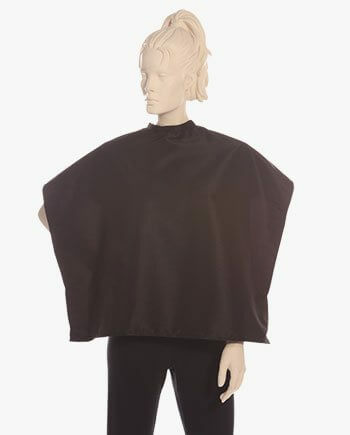 The unique feature of snap closure at the back of the cape makes it a one-size-fits-all product. The closure ensures that it fits smaller neck sizes (7 inches) to larger neck sizes (24 inches). 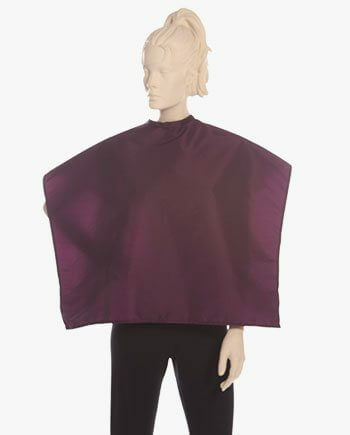 The Salonwear kids’ capes are available in the dimension of 30 inches x 42 inches. A plethora of colors are available for you to choose from: black, white, brown, wineberry, red, navy and bronze. These beautiful colors are chosen to keep the preferences of kids in mind. Apart from offering a wide range of salon and spa apparel and accessories, Salonwear also gives you the option of customizing your salon or spa apparel. You can personalize your salon apparel and accessories with your brand logo. We use two unique techniques for customization: screen printing and embroidery. Embroidered capes for kids and screen printed kids haircut cape are the best selling ones. Why Choose Salonwear for Kids Haircut Cape? Salonwear is a US based family-owned business that has created a wide range of top-quality apparel for the salon and spa industry for the last 31 years. As a result of our experience and expertise, we have sustained our remarkable quality by offering products that are both functional and chic. We always strive to satisfy our clients’ needs and treat them like family.